Business description - IRCON International is an integrated Indian engineering and construction company, specializing in major infrastructure projects, including railways, highways, bridges, flyovers, tunnels, aircraft maintenance hangers, runways, EHV sub-stations, electrical and mechanical works, development of industrial areas and other infrastructure activities. The company provides EPC services on a fixed-sum turnkey basis as well as on an item-rate basis. It also executes on build, operate and transfer mode in various projects in order to meet the requirements of its bids. In 2016, the company was ranked number 248 in the list of top 250 international contractors by Engineering News Record (ENR) of the United States. IRCON IPO Review: Light at the end of tunnel? IRCON International IPO allotment status is now available on Karvy Computershare’s website. Click on this link to get allotment status. 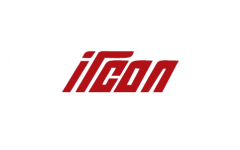 When is the allotment of IRCON International? It is useless to check on the date of allotment. All allotments happen the next day. This is the 2nd day of the IPO, still very little response from QIB & NII, only RII is rushing. What is the matter? Good IPO railway companies always make money.